The excitement of Inktober, Halloween and the release of Jane Davenports new Mermaid Markers has me all inspired. So, after nearly fainting over the delicious new range of colours, especially the shimmers, I got to Mixing and the following "recipes" are what I have come up with....so far. I think for the best effect, mixing on the palette worked for me. I played with different ratios. It is amazing what variations of intensity and colour you can get from playing with them like this. 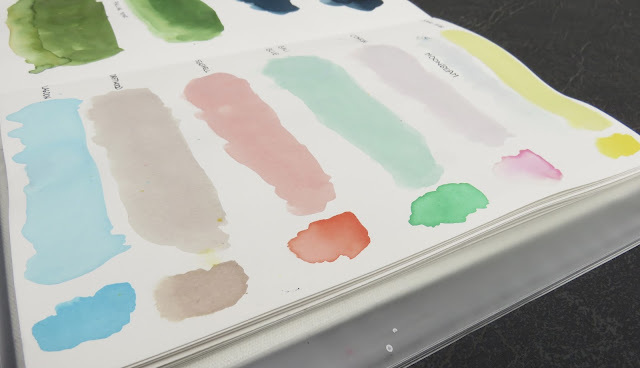 It's difficult to measure or give you an exact ratio for each one, but as you will see from the pics, you can create a lovely variety of shades from the one colour combination. Milky way and Sharks Eye ( heavy on the Milky Way) created the shimmery" Ravens Feather" colour as I like to call it. And to create the "Gravestone Grey", use a mix of Black Hole and Sharks Eye, then add a top layer of Meteorite over that. Of course Halloween wouldn't be complete without a with or two with their glowing green skin, slime, slippery frogs, toads and shimmering Dragon scales to toss into their cauldrons. For my first recipe mix Kelp and Falling Star together, again changing up the ratios till it's mixed to your taste. Well, I hope you enjoyed these recipes and you get cooking up a storm with your Mermaid Markers as well. I'm sure there are plenty more recipes to be created yet. This year has started off with some wonderful things happening for me. I am so thrilled to be Jane Davenport and her lovely husband, Angus' little helper. If you're a Davenpeep, you've probably seen or heard from me quite a bit in Jane's Facebook groups. 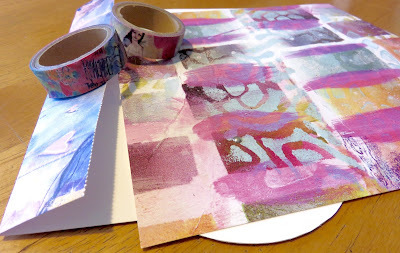 I am also enjoying all of the art shared in these groups and playing with Jane's very own mixed media art supply range brought out in JANEuary. I've been having a ball playing with all of her art supplies myself, and, as I'm about to share with you all, I had a wonderful crafter-noon recently when I created my 'face spinner' with Jane's wish tapes in her Butterfly journal. 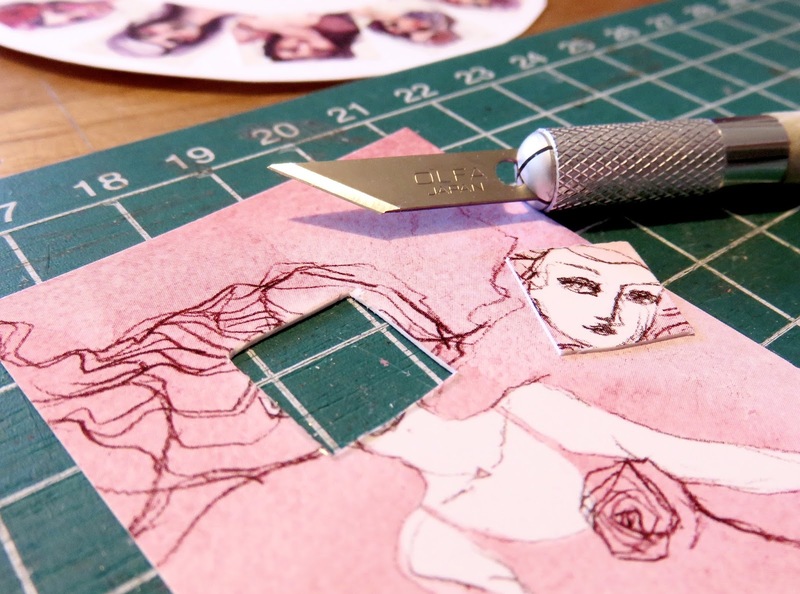 So..........if you'd like to make one of your own, here's what you will need and a 'how to' create your very own. I hope you have fun. 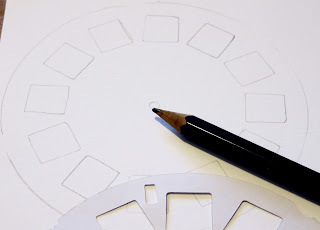 Sizzix "picture wheel" die , or a viewfinder cartridge to use as a template. Draw around your 'picture wheel' and mark out the windows. Tear the individual images from the washi roll and place over the windows you marked out. 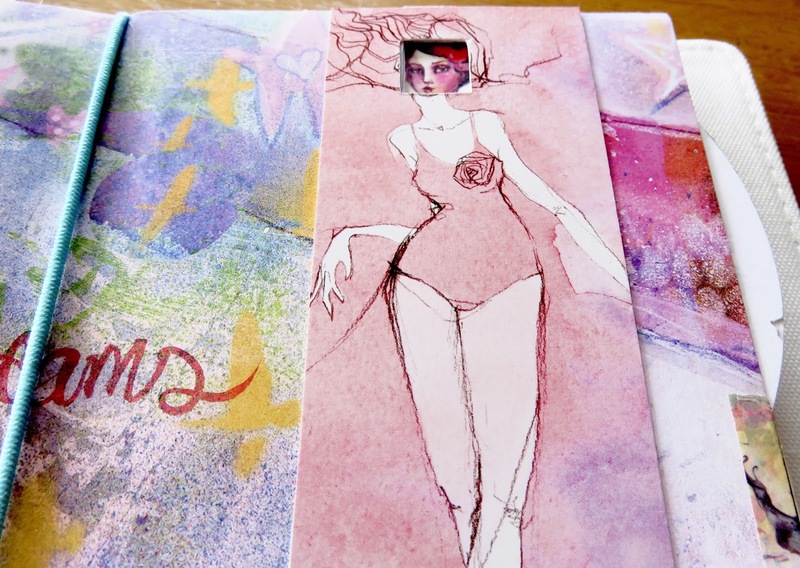 Cut out your 'swimsuit girl' from the cover of Jane's Paper Pad. 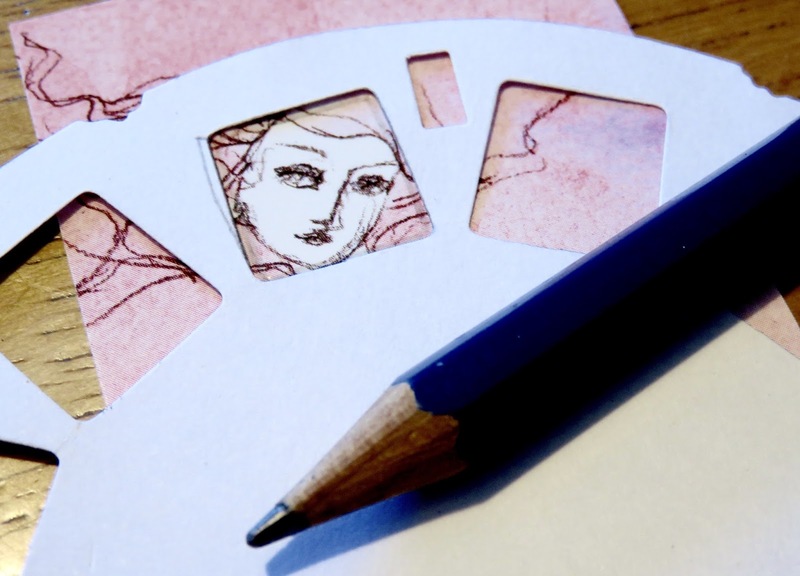 After cutting out the image from the front page of Jane's Paper Pad, use a die cut from your 'picture window' die and trace out the face ready for cutting out. 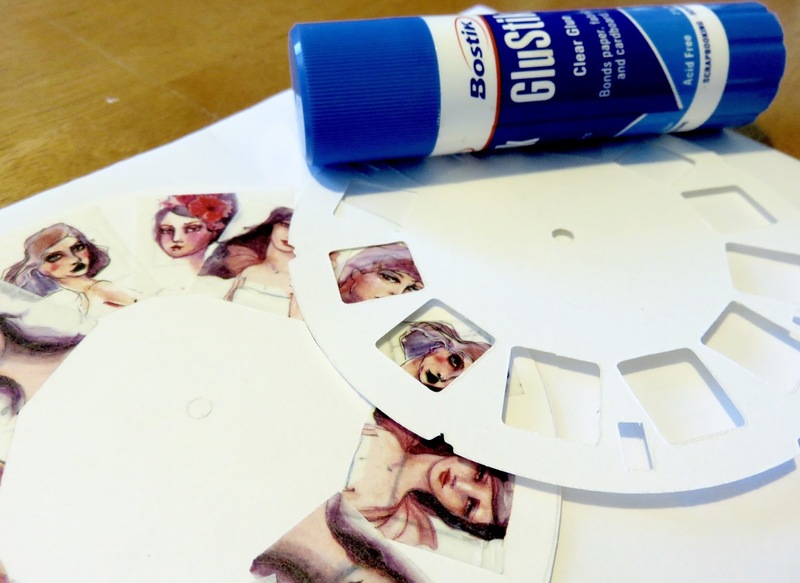 Make another picture wheel from your card stock to glue over the faces wheel you've created. 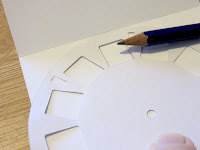 Once glued together, using a needle like tool, pierce the centre of the wheel in the BACKING page making sure the window cut out is aligned. 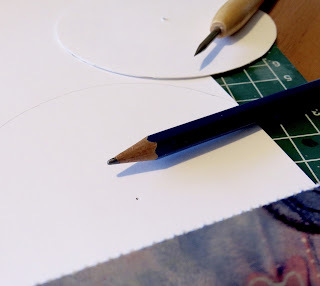 Mark out the hole in the centre of the chosen paper pad BACKING page once folded in half. 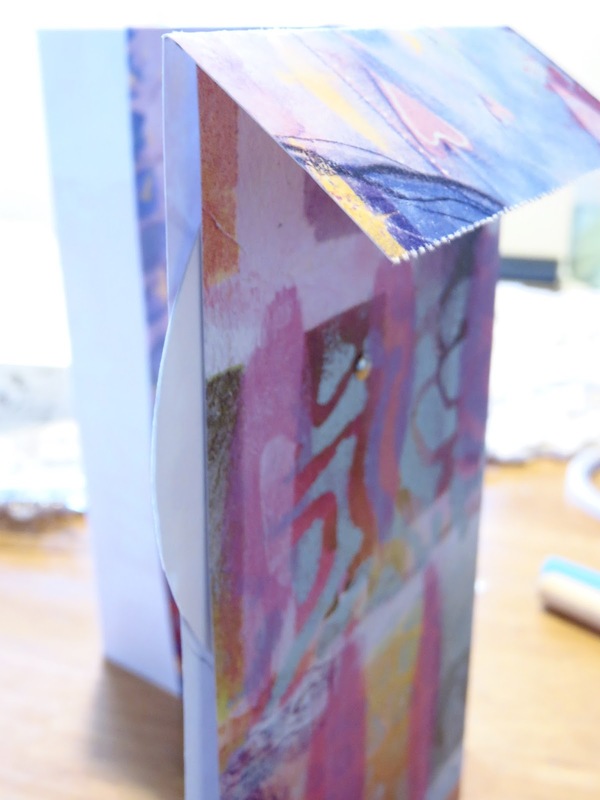 Fold the flap of the FRONT page over at the top to fit into the Butterfly journal. This gives you a smooth 'spinning' wheel' hold. 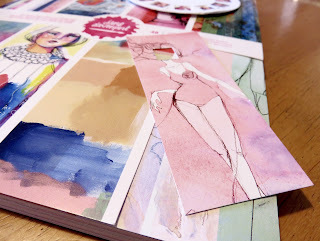 NOTE: Jane's paper pad pages are a little larger than the inserts which allow for a fold over at the top. Also, make sure that you allow the tip of the picture wheel to hang out at the side a little in order to allow for spinning as shown below. Trace out the window which should be centred at the top of the FRONT page for cutting out. Once you cut out that window, align your swimsuit girl with her face window cut out so as you spin the wheel, all ace are visible. 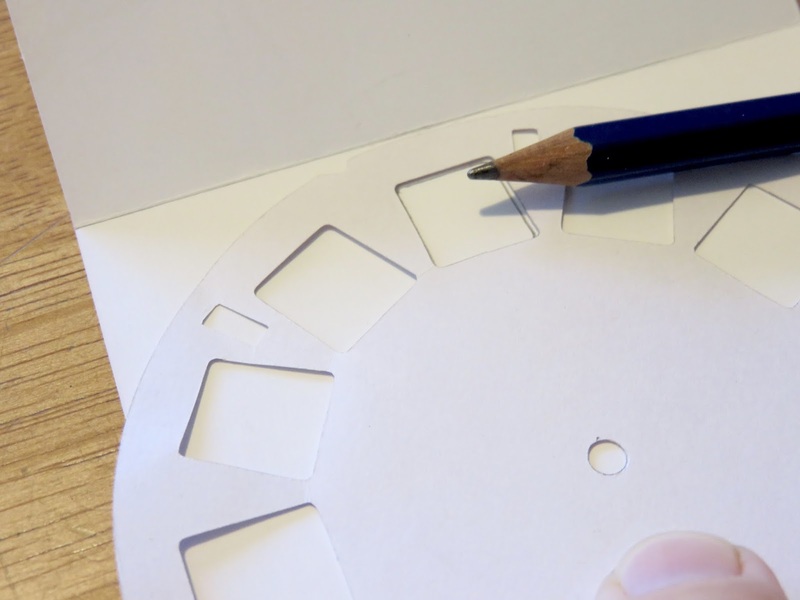 Use the brad to secure the picture wheel to the BACK page. 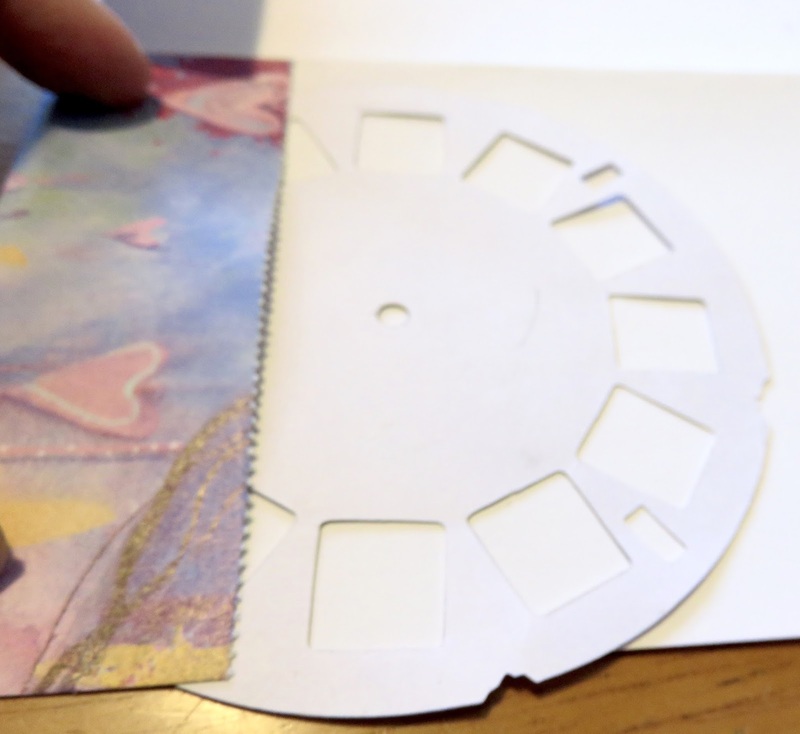 Picture wheel in-between the FRONT folded page and a BACK page. SO. 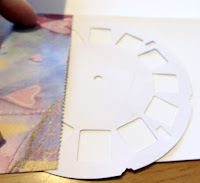 once the picture wheel is secured, the faces line up with the front girls face window, you can secure the pages together with more of Jane's washi tapes. Here's how she should look. I hope you've enjoyed this crafty spin on using Jane Davenport's mixed media range, and I hope you too can create one of your very own. Hi everyone. 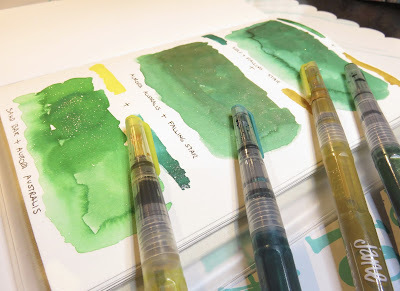 It's been quite a while since I shared on my blog, but, I'm back with renewed verve, and I hope to be blogging a lot more about art supplies and creative ideas. This little video was my first attempt at creating a tutorial for Youtube. I hope that you enjoy it, and that some of the ideas and cleaning tips are helpful to you. I know that's a tongue twister, Try saying it 5 times quickly. Seriously though, I loved creating these and I cans see that the options are endless. Decide how you want to create the 'hair'. My first design kind of set the tone for the organic look.Adding random lines in various thicknesses, I created 'branches' and then dots to add a kind of shadow. The eyes are simply a dab of Peacock Blue and the lips and cheeks are scarlet red. 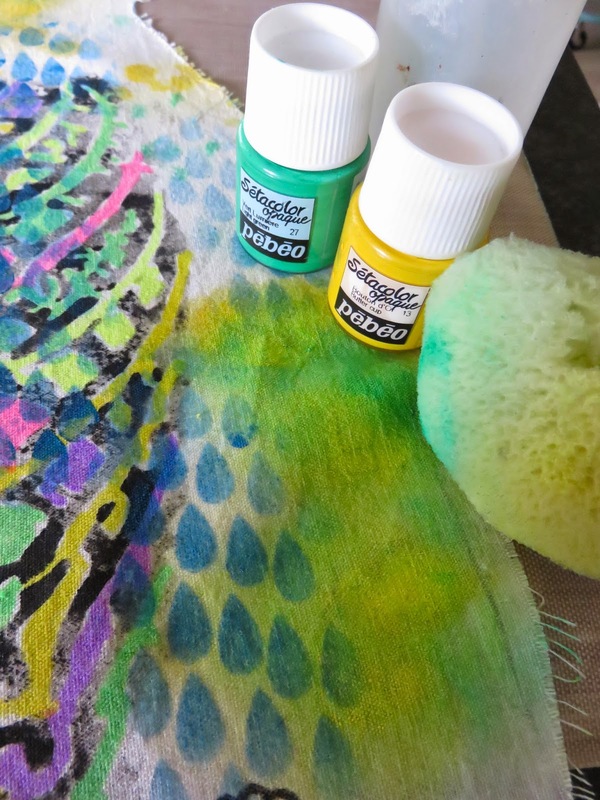 Add the Peacock blue to the top of the colour area and blend out with your fingers. 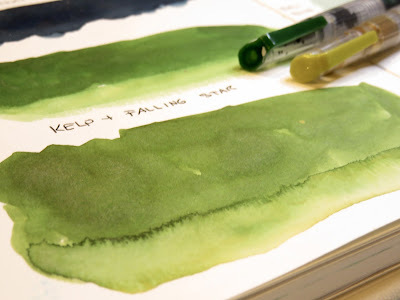 Starting with Earth Brown at the base and blend with your fingers. Go lighter as you move up. I used Marseille Yellow,, Agate Orange and Peridot Green blending colours as you work. Finally, a touch of Peacock blue added to the top and some of the golds at the bottom help balance the look. 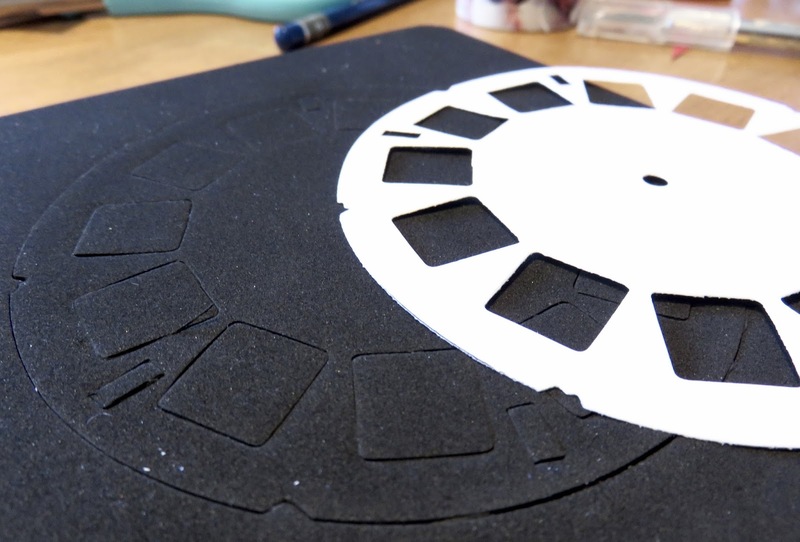 Now you are free to create your set of platters. I did sharpen the lines up and added the highlight in the eyes by 'scratching' off any untidy or messy lines. A wooden skewer of sharpish tool will work. A quick sip over with some rubbing alcohol with a tissue or a cotton bud does the job of cleaning up. 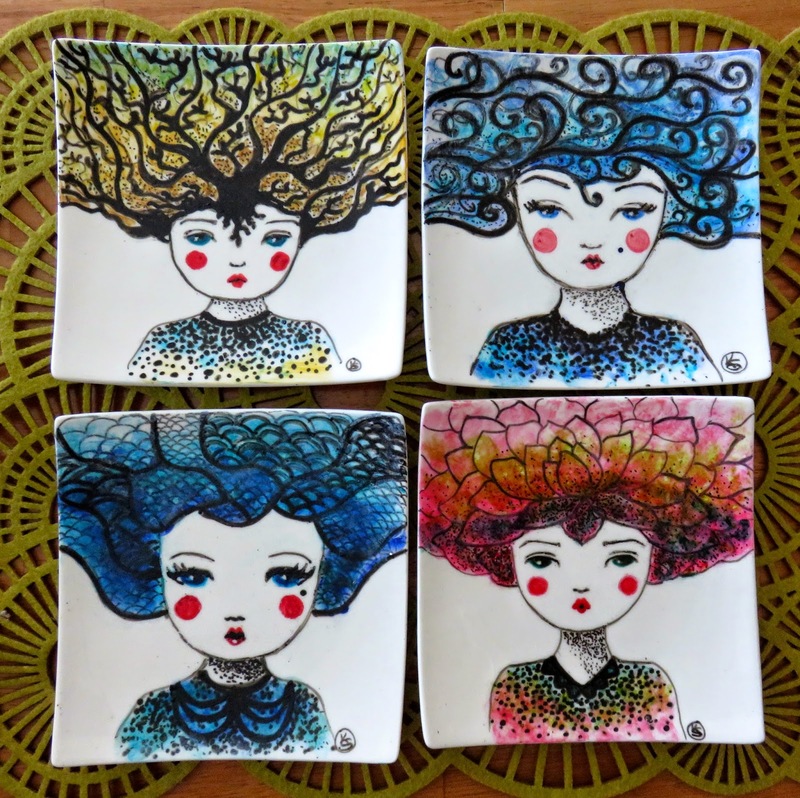 Heres a quick glimpse of some of the other platter designs. I did use the Porcelaine 150 paints from the little jars in these. 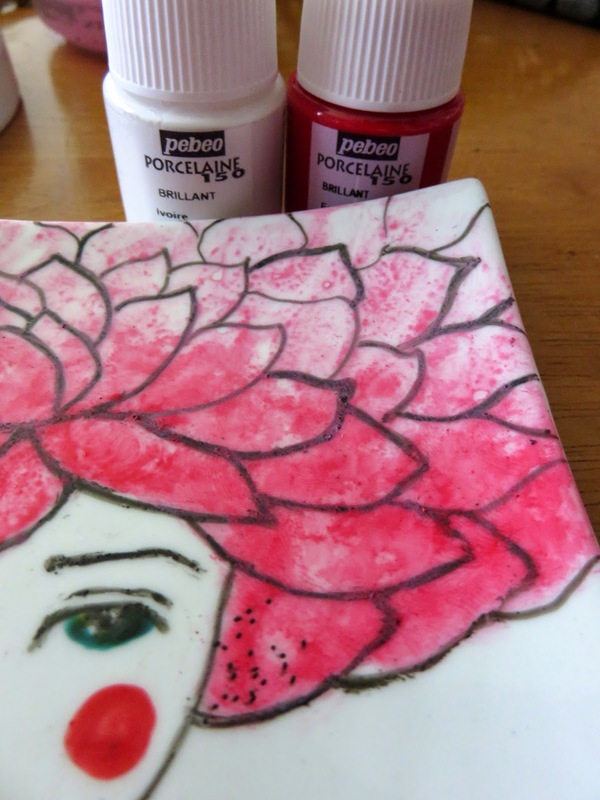 Mixing a little Scarlet red and white to get the varied pinks for the floral hair. After adding a Peacock blue base, I softened it off by dabbing some watered down White. Keep playing till you're happy. And most importantly, have fun with it. Now you're set to impress. Time to invite you friends around for a cuppa and serve them their favourite treat on what is sure to be the talking point of your get together.Your personalised platters. O.k. I think I have a serious case of Pebeo-istis. Once you've got it, there is no cure. And I am totally fine with that. Today I'll be sharing with you some of the conditions to look out for. Here's what I created to get you started on your own case of Pebeo-itis. Supplies for this project: Pebeo Sétacolor Opaque fabric paints Discovery Set, Pebeo SetaSkrib fabric markers 6pack of original and fluorescent, calico, chalk marker, Gesso, Schmincke Aero Color acrylic ink, Princeton artist brushes and silicon brush, Canson 'basix' art sponge, water spray bottle, stamps, stencils, Archival black ink pad, iron and sewing machine. The first step is to lay out your pre-washed fabric, fold in half and pin on pattern. 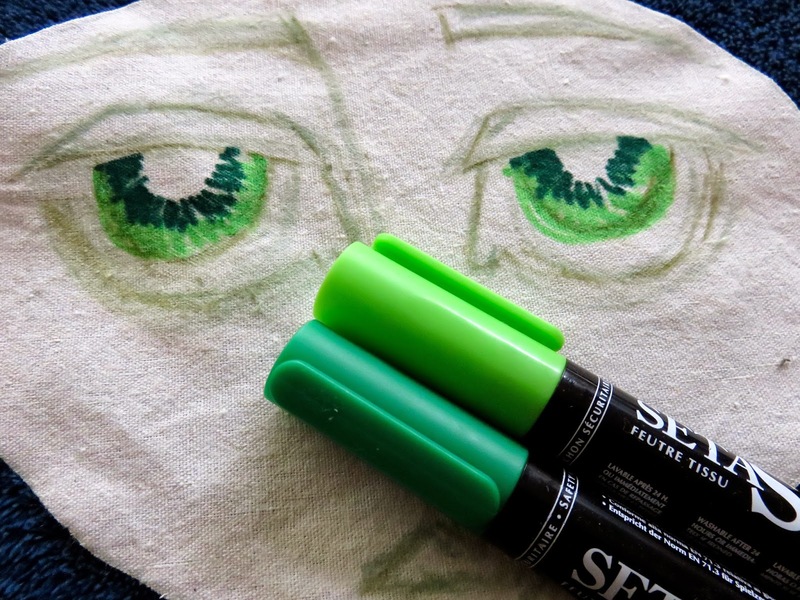 Mark out your doll design with your chalk marker. I drew my pattern freehand on butchers paper first. I kind of like not having a set idea of what I wanted. This way, the fun just flows. Now that you have your doll parts , you're ready to crack open those delicious little bottles of fabric paint and pop off the pen caps. I think the best way to show you how it's done is step by step. 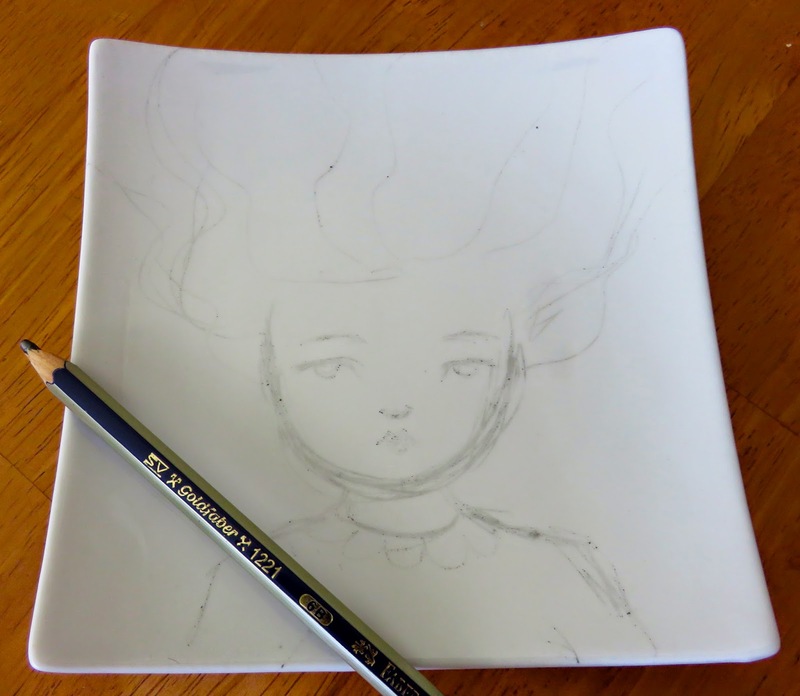 So I hope you find these images I took whilst creating Two faced Tessie helpful. Let's go…. you will need to add around2cm of seem allowance. 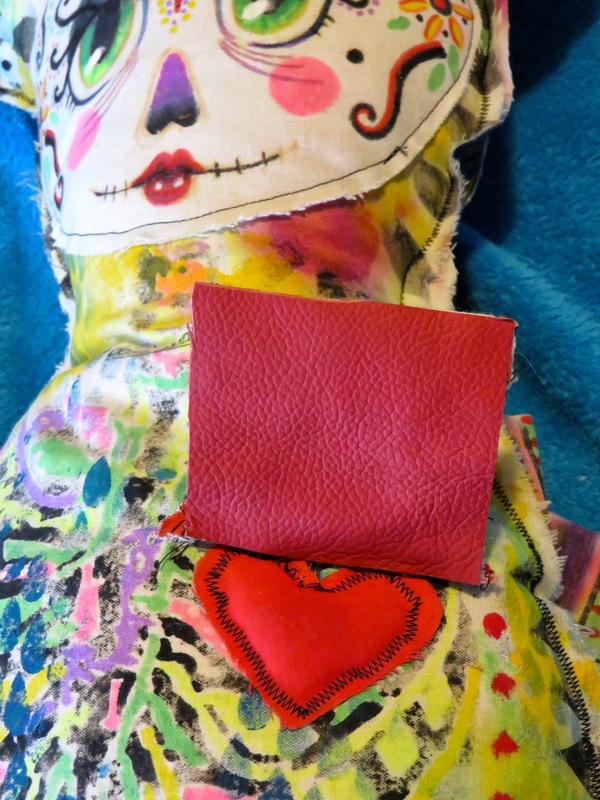 I chose to stitch her together , leaving an edge that can fray over time. Begin by adding stamps to get started. Again using gesso and the silicon brush, apply streaks. This tool is great for this. across onto fabric where it feels right. 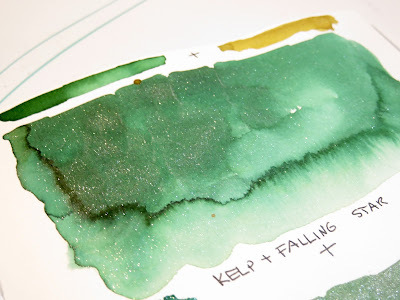 Try adding Schmincke acrylic ink with dropper. This is divine when spritzed with water. 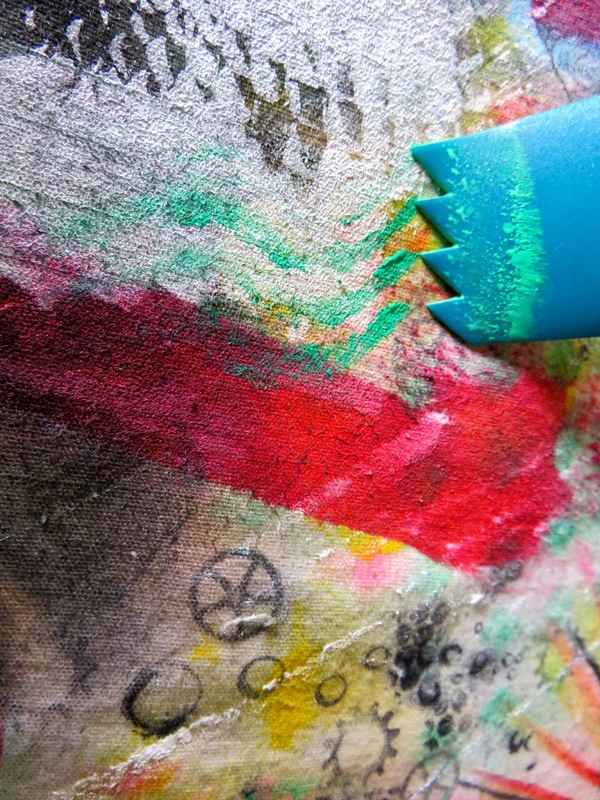 Be sure to dry fabric before applying more paint or markers as they will run. Unless that's what you want. you get these wonderful little teardrop like marks. making little lines that have a heavier 'body'. adding paint straight onto brush and dragging in a short downward movement. this directly if this is what you like. basics markers. They blend into each other beautifully. acrylic ink over fluoro pink cheek colour and spritz with water. Watch as it bleeds out creating those cheeks. colours over each other, they blend and add depth. Also create shading with a mix of purple and blue. Add depth to base colours. 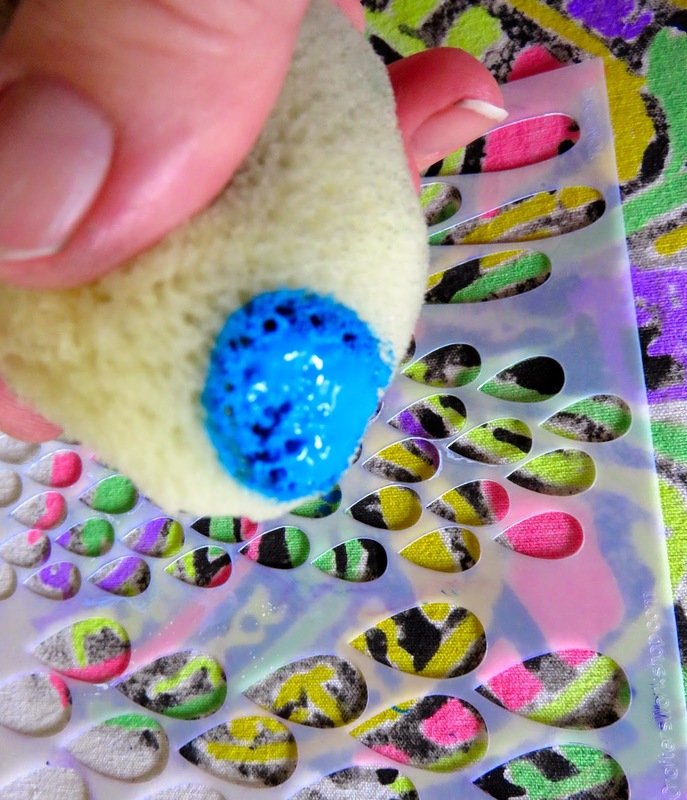 Add highlights in the eyes with gesso. I also added some gesso onto parts of the face. drawing a skeleton like image wight he markers. Decorate the edges with patterns of all kinds. Stencil some blue over other images to unify the piece. Colour in ribcage with markers. paint and dried and set before moving onto colouring. colours to fill in 'open' spaces. 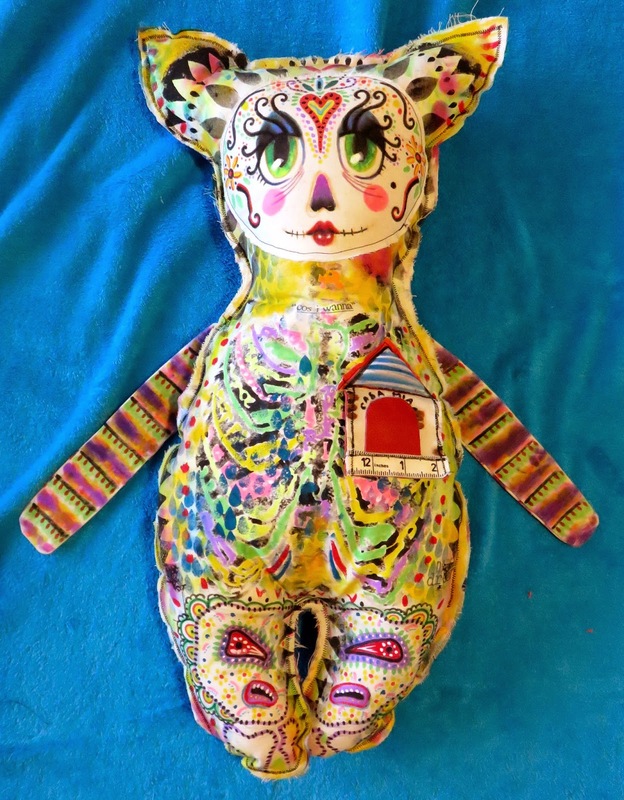 to create something reminiscent of 'the day of the dead'. face and draw out a fun 'day of the dead' design. Just for fun, Cut out a little house and paint. house itself flips up to reveal a puffy heart. glued on a piece of leather for the door and he underside. h is filled with stuffing to puff it up. All stitched together and ready for cuddles.To assemble I sewed the arms together first. Be sure to have them 'facing' each other when stitching, and leave a whole so you can turn it right side out again. 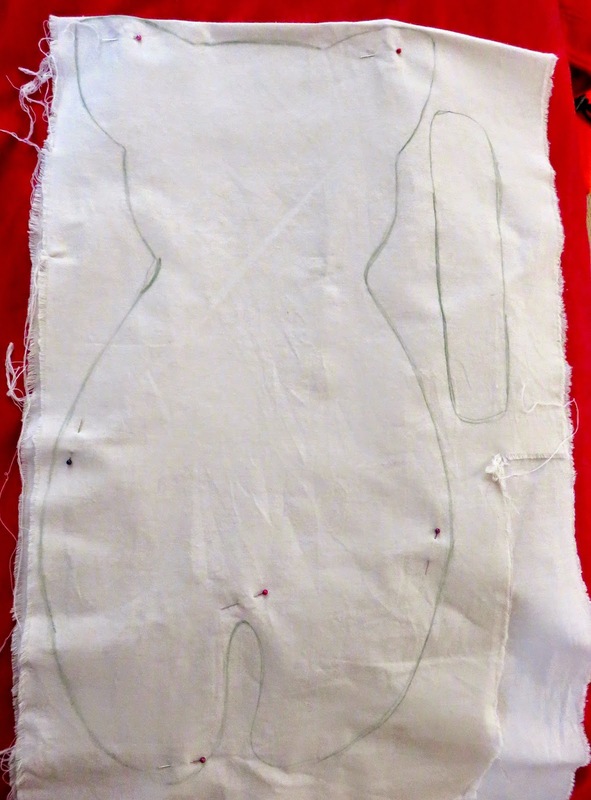 I surest pinning the arms where you want them so as you begin stitching the doll together , you don;t forget to add the arms. Bright and beautiful. Here she is. I also created a 'love' patch for her. This disguise an area of paint that I wasn't so happy with. 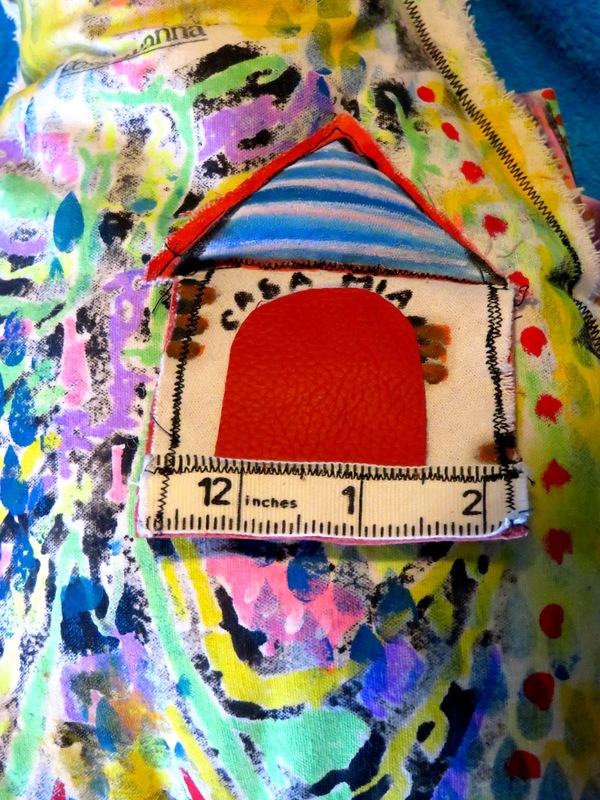 For her patch, just cut out a small rectangle, draw on striped, set colour. Stamp on 'love' and if you like , add false stitching to decorate. I wasn't worried too much about a tidy finish. I quite like the idea of the edges fraying a bit. I think this adds to the whimsical nature of the doll. Of course when you are stitching it together, It is up to you if you want to sew it together 'face-to-face, and then turn right-side out again. Be aware that you will need to have a little extra seem which will be taken up by doing it this way. I hope I covered everything here for you. 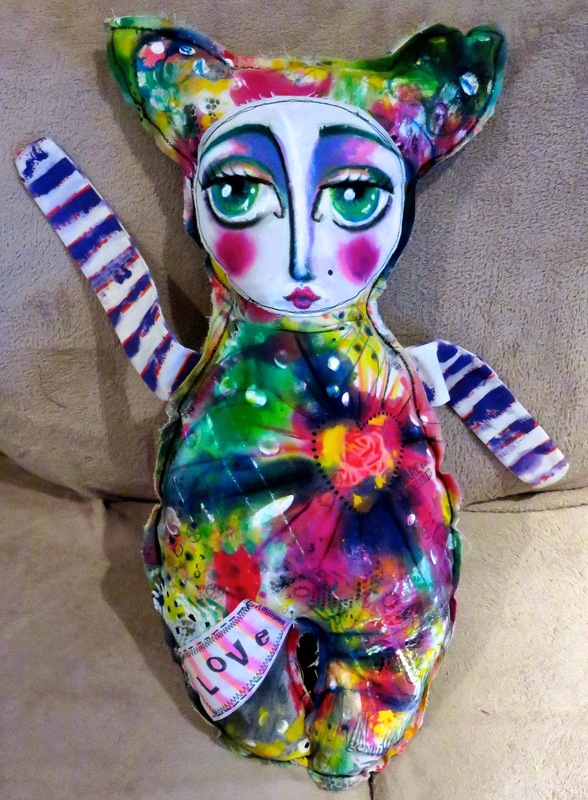 It is a rather big project, and the blog is quite long, but I think that by showing you step by step , it gives you a much clearer image of how to create one of your own fabric dolls with the fabulous Pebeo Setacolor Opaque fabric paints and markers. So if you now have a case of Pebeo-itis, be sure to let us know in the comments. My name is Kerry,and I'm totally fascinated with all forms of art. I have a wonderful family with 2 teenager kids and a loving and super supportive husband.and my best mate,Mario, our shpoodle. I have a passion for creating,so my artventure takes me to all kinds of wonderful places. I do have a slightly twisted sense of humour. One of my favourite things to do is take walks in the rainforest or out in nature.I can't get enough of the amazing creations there are to find in the smallest of things and how it makes me feel .I try to appreciate everything around me and marvel at it's beauty or uniqueness. Everything has a quality. So....that's a rough blurb about me.I hope I get to post more than I have in the past. Let's see shall we.